Point-of-view cameras have changed the world of cinematography, but uploading, editing, and sharing that video takes ages. 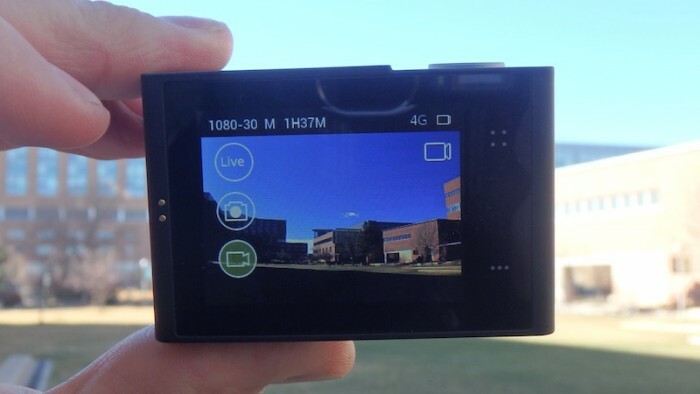 The Sioeye Iris4G is a new camera system that removes those steps, blasting footage directly from the camera to an app for real-time video sharing. How much of your POV camera footage has seen the light of day? Honestly, I have shot close to 100 video over the years on GoPros, VIRB’s, and other POV devices. Maybe 10 of them have ever made it to YouTube or even my Facebook page. But yesterday, I picked up the Sioeye Iris4G camera ($500) for the first time, and in the span of a couple hours, shot 11 video clips. All of them streamed live to the world, viewable in real-time, by anyone with the free Sioeye app (from Google Play or iTunes). Better yet, they are stored in the app’s cloud, to be viewed at any time, no uploading or plugging into a computer required. Much like other social media apps, friends and followers can comment on videos and interact via an easy chat function. The app doesn’t reinvent the wheel and is similar to other formats like Snapchat or Periscope, but the integration of a powerful camera does. Wow, I might actually like this! A note about this review: I’ve only had the camera a few days, and am just learning the ropes of a potentially powerful tool. So far it seems great, but I’ve still got a lot to learn. See some 1080p sample video near the end of this article. The Sioeye camera looks a heck of a lot like a GoPro. It’s so similar that several people I filmed asked if it was a GoPro. But each of these people reacted with the same surprise when I told them, no, this is a different camera, and you are on the air, live, right now. The Sioeye’s live stream is a darned cool feature, and something I suspect signals the future of personal video cameras. But there is a lot more to this device than live streams. While streaming quality is limited to 480p, Sioeye also can simultaneously save to onboard memory, and it does so in a stunningly high resolution of up to 4K at 30fps as well as super slow motion capabilities with 1080p at 30 and 60fps and 720p at 120fps. It has a super clear LCD screen on the back, which operates preferences such as video quality, burst photo rate, and camera lens angle (it shoots from super wide to medium angle). Here’s what really sets the Sioeye apart: The Sioeye Iris4G is a self-contained, unlocked Android device that connects to any of the top 4G LTE networks in the U.S. via a SIM card, which users purchase separately from any major carrier. It even works as a Wi-Fi hotspot. The beauty of this is that you can leave your cell phone behind. 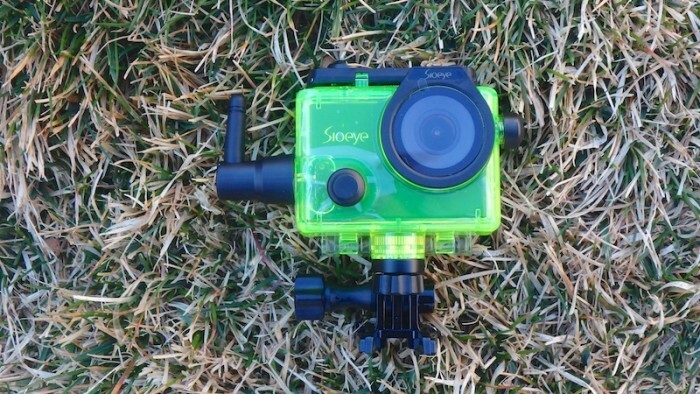 Take this thing diving (it has a waterproof case rated to 197 feet), skiing, or hang-gliding. If you have cell phone service, you can stream the activity live, and your friends can watch in real time. When you get home, you can edit the high-quality video saved on the device. Or don’t. If you didn’t capture an epic moment, no biggie; at least the basic story has already been uploaded and saved to the cloud, so you can watch it at any time. While this new camera has a lot of very exciting possibilities, it’s VERY new, and still has a few bugs. The touchscreen controls were a little tough to figure out, and it didn’t always do exactly what they said they would (for example, “push again to exit” didn’t result in exiting a menu). The battery life is a claimed 1.5 hours. However, when live streaming, I didn’t get near that much time. This, the company says, is due to a glitch in the pre-production model I’m testing. I’ll updated this once I can test after a software update. Additional batteries only cost $10, so I’ll probably pick up a couple to ensure long streaming ability. I don’t love the requirement of an app to watch videos. Sure, plenty of other platforms work like this, but it’s limiting. Everyone who wants to watch a video needs to upload the app and register. While the brand sees its app as a large future social network (who knows, it may be one day), it will be limited by how many people want to buy pricy POV cameras. To get around this, you can create a link in the app that, when shared on Facebook and clicked by a reader, creates a window to watch live streaming. I’d love to see the integration of live streaming to YouTube through the app. This would enable anyone in the world to watch your live broadcast by just following a shared link. It would also allow websites to embed live streams, something I’d love as a journalist, but that may not be that big a deal for most consumers. 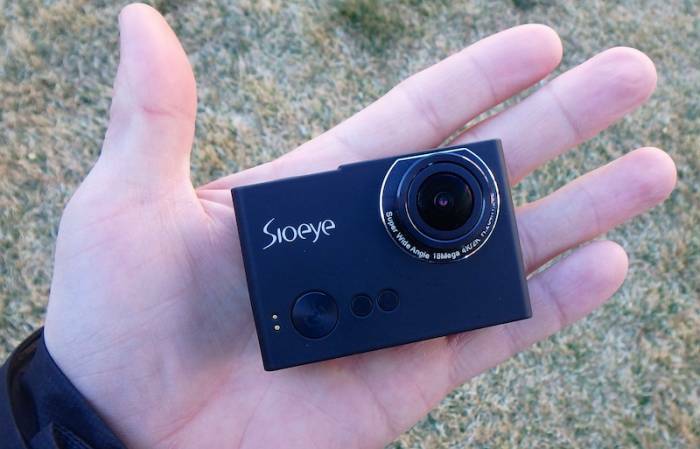 The Sioeye Iris4G is next-level POV. It does things that GoPro and other devices can’t do, and has the possibility to disrupt the industry. I shot the quick sample clip, above, on my first outing with the camera. Sorry for the bad angle. 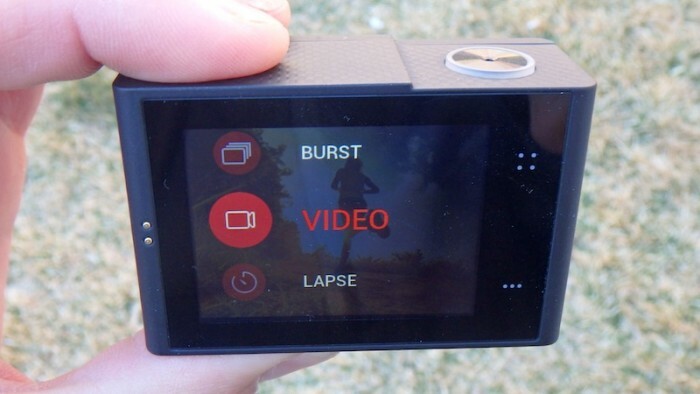 There are still some inefficiencies to work out regarding the Sioeye app, but once developers come up with streamlined integration into large audiences like YouTube, this small camera may change the way we share our world. I look forward to watching the development of the product and expect to see a lot of similar streaming devices to follow suit. If you’d like to keep up to date on my experiments with the app, download it (Google Play or iTunes), register, and look up Sean McCoy. It’s still very small, so I should be easy to find.